Despite the fanfare surrounding the unity agreement between Fatah in the West Bank and Hamas in Gaza, Israel's defense establishment remains unmoved, and Israeli security officials have expressed doubt that the deal will result in tangible changes on the ground. Currently, the Israel Defense Forces (IDF) and Palestinian Authority (PA) security forces coordinate security activities, enabling more effective counter-riot and counter-terrorism activities. The coordination is based on the premise that stability in the West Bank serves both Israel and the PA, irrespective of diplomatic clashes between them and the status of the peace process. The Fatah-Hamas unity agreement, brokered in April, led to a collapse of peace talks, and to a diplomatic clash between Jerusalem and Ramallah, but on the ground, the IDF and the Palestinian Authority's security forces continue to cooperate with one another. "So long as there are no changes on the ground, the agreement does not matter from a security perspective," a senior Israeli defense source said in recent days. To be sure, Israeli intelligence agencies are closely monitoring the commitment of the PA to this continue cooperation with Israel. The agencies are on the lookout for any signals of intent on the PA's part to end the coordination with Israel. Thus far, though, there have been no such signs, the defense source said. "At the moment, we are not seeing any changes in messages [to PA security forces]," the source added. "We are continuing to see cooperation." Destabilizing scenarios that the Israeli defense establishment hopes do not materialize include a sudden strike, or refusal by the PA security forces to perform their functions, such as patrol of Palestinian areas, keeping the peace, and counter-terrorism raids. That would force the IDF's Central Command to significantly expand its role and number of forces in the West Bank, and would increase the likelihood of friction with the Palestinian population, as well as mass rioting. Some worrying signs have appeared in recent weeks, despite the ongoing coordination. Hamas members have been given more freedom by the PA to hold rallies and demonstrations in West Bank cities, places that had been no-go zones for open Hamas activity until the unity agreement. 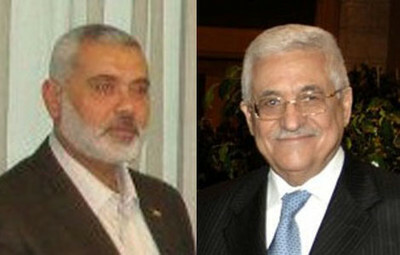 As a result, Hamas feels more emboldened to signal its presence in territory run by its long-time rival, Fatah. "That's not something I'd say we are comfortable with," the Israeli security source said. "But it's not a strategic change," he added. Allowing political demonstrations is a far cry from permitting Hamas to openly set up armed terror cells in the West Bank, but Hamas's political messages are filled with incitement to violence and could result in increased unrest, which already is on the rise. The IDF and Israel's domestic intelligence agency, the Shin Bet, work day and night to ensure that Hamas efforts to set up clandestine terror cells fail, as a recent arrest of a Hamas cell in the Palestinian city Kalkilya demonstrated. The cell plotted a campaign of bombings and shootings, and included an Israeli Arab citizen, who allegedly would have enabled it to strike inside Israel. Palestinian Authority President Mahmoud Abbas has a clear stake in seeking a monopoly of arms for his forces in the West Bank, and does not wish to see a proliferation of armed movements like Hamas and Islamic Jihad that can challenge his grip on power, just as they did in Gaza, when Hamas overthrew Fatah in a violent coup in 2007. Maj.-Gen. (res.) Amos Gilad, head of Security-Diplomatic Affairs at Israel's Ministry of Defense, outlined this obstacle in recent comments, saying: "I cannot imagine them [Fatah and Hamas] reconciling. Hamas is determined to take over the PLO. Their strategic plan has never changed, to take over whole of the Middle East, and they don't mind starting in Ramallah." Looking ahead, much ambiguity remains over the implications of the Palestinian unity agreement. What, for example, will be the effect on the ground of a technocratic Palestinian government, as proposed by the reconciliation pact, and how might elections affect the situation? These are questions that have begun dominating military planners in Israel. "At this time, the answers are unclear," the security source said. The IDF has not yet felt the need to make special preparations or change its deployment of battalions in the West Bank. If future developments prove to be destabilizing, though, such measures will become more likely.